Sean Peoples, a filmmaker with the Wilson Center, arrived today in Missoula, Montana to attend tomorrow’s premiere of “Broken Landscape” at the Big Sky Documentary Film Festival. 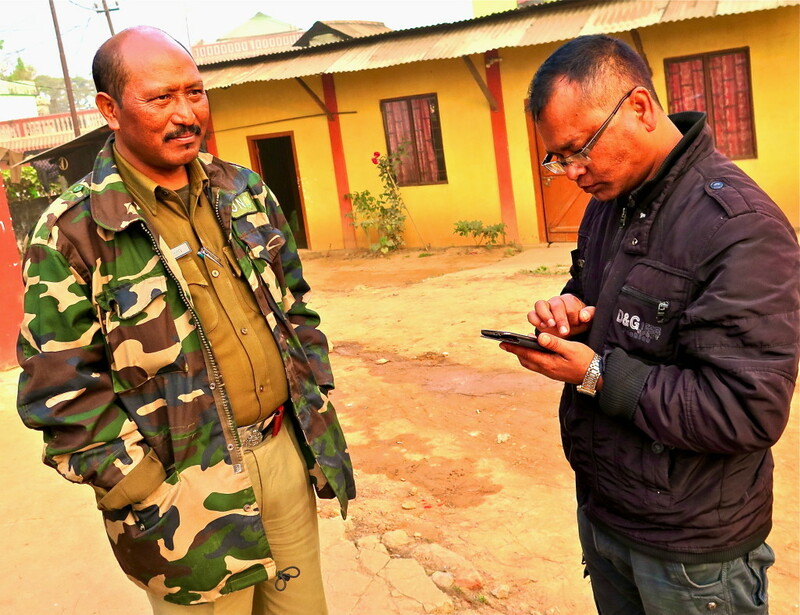 The 13-minute documentary, which Sean co-produced with Michael Miller, explores the aftermath of the unexpected court-ordered shutdown of one of the word’s most lawless and dangerous coal fields, in Meghalaya, India. “Broken Landscape,” nearly a year in the making, is based on the reporting I did last year for Circle of Blue and the Wilson Center, our collaborator on the Global Choke Point project. Starting from the quiet sweep of a canoe paddle stirring the contaminated waters of southeast Meghalaya, “Broken Landscape” takes viewers down a makeshift tree branch ladder into one of the region’s deep rathole box mines, where serious injuries are endemic and miners regularly die of cave-ins and drownings. 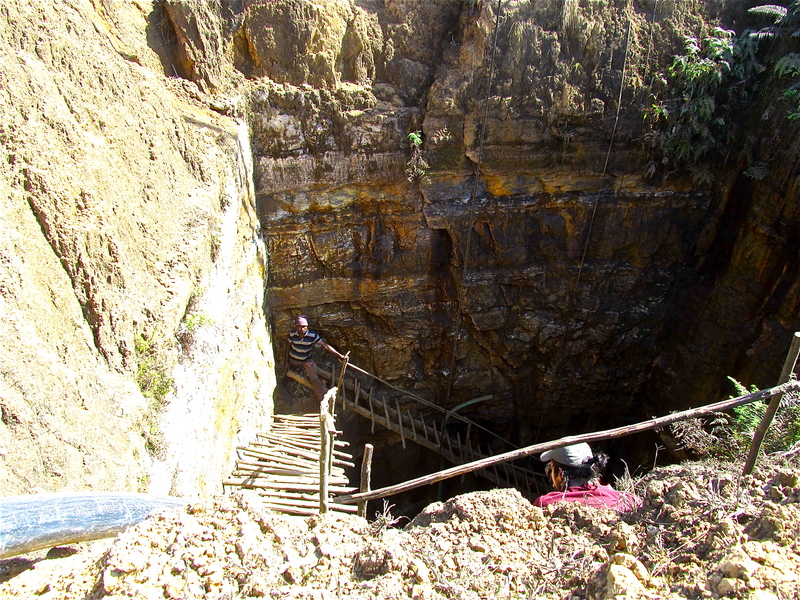 In April 2014, the National Green Tribunal ordered the mines shut until safety and environmental practices improved. The court order prompted protests and a huge march that was captured on film by Sean and Michael. “Broken Landscape” describes the panoply of frustration prompted by feudal mining practices — the distress of local villagers afraid of the water; the work stoppage that leaves desperate immigrant miners jobless and homeless; the loss of income sustained by mine owners; the mix of skepticism and despair expressed by journalists with the Shillong Times who understand the enduring consequences of reckless mine practices to the land and its residents. 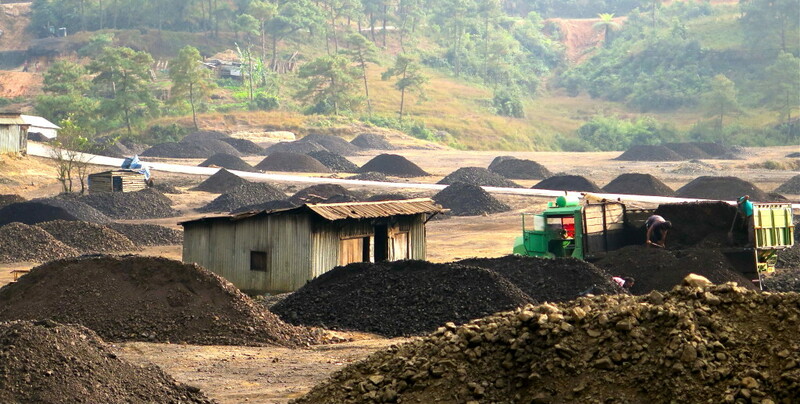 I returned to Meghalaya in November to report on the leaky enforcement of the NGT shutdown. I’m preparing a new report for posting later this year. Take a look at this first-rate film.